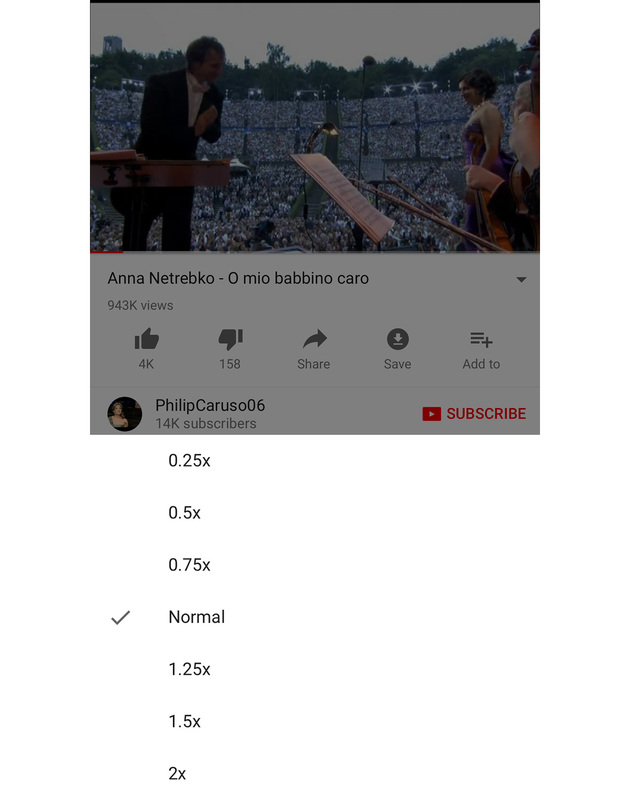 Home Business YouTube Has Brought Playback Speed Choices To Phones. YouTube Has Brought Playback Speed Choices To Phones. The ability to choose playback speeds on YouTube can be quite precious. You can use it, say, whenever you need to see what’s going on in a tutorial in slow motion or just want to speed watch a random vlog. Now the feature has finally arrived to the platform’s iOS and Android apps, so you don’t have to turn on your laptop just so you can slow down or speed up what you’re watching. The feature is already live for a lot of people — to try it out, simply tap on the hamburger menu at the top of the app’s interface. After that, choose “Playback Speed” from the menu that pops up and choose the speed you prefer. Previous articleMidnight Snacker? Ditch The chips And Dips, Go For These 10 Healthy Food Items Instead. Next articleMoto X4 leaks: The first Android One phone in the US. At Last Microsoft Has Acknowledged That The Windows Phone Is Dead. Snapchat’s Bitmoji Avatars Are Now Going To Be Animated And 3D. Reverso Is Now Letting You Translate Words Using Your Voice.